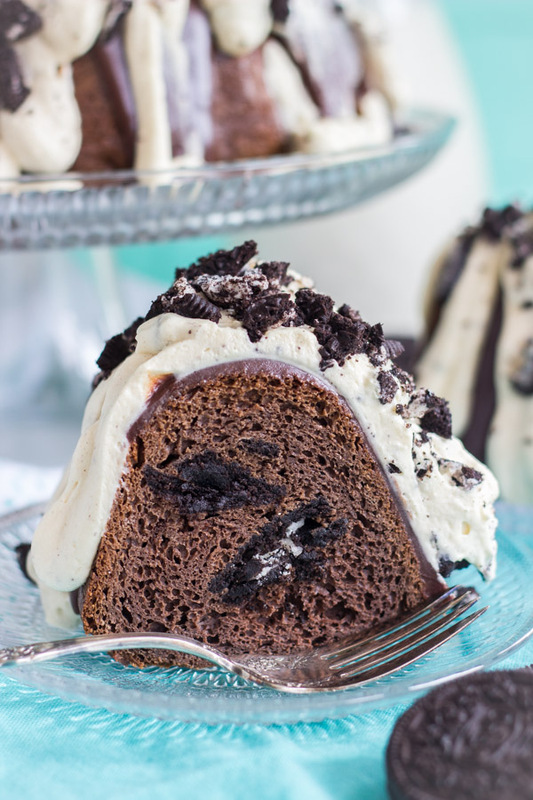 This Cookies ‘n Cream Oreo Bundt Cake recipe features a milk chocolate bundt cake stuffed with Oreo cookies, and topped with chocolate ganache and cookies ‘n cream pudding frosting! 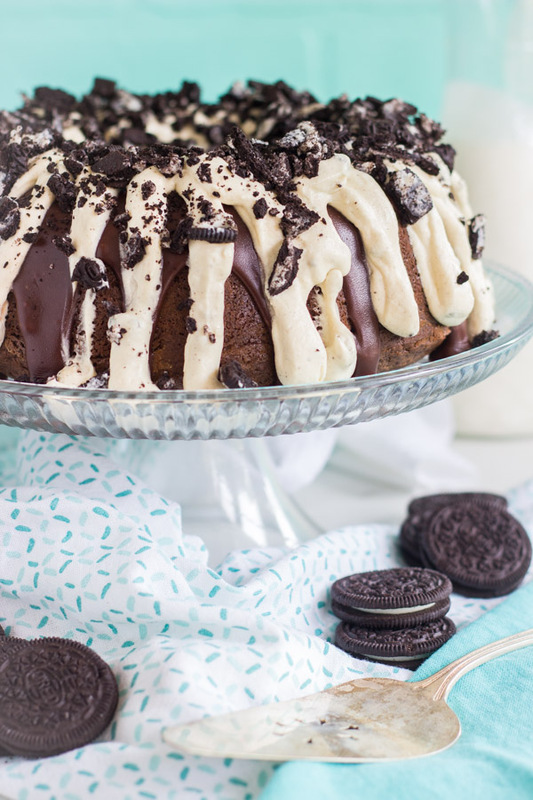 This Oreo Bundt Cake is as easy as can be, but delivers major indulgence. 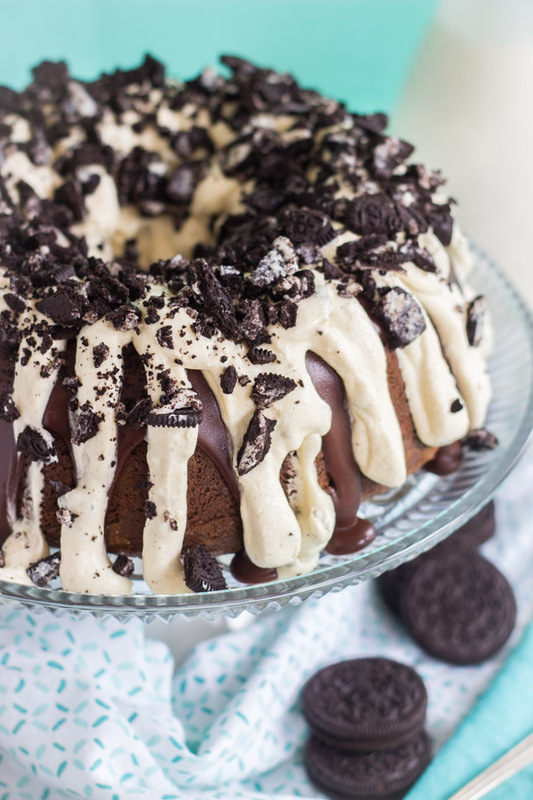 What if I promised you that this Oreo Bundt Cake is the last bundt cake recipe that I’m going to shove in your face for a good, long while? Would you be happy because you’re tired of seeing bundt cakes? 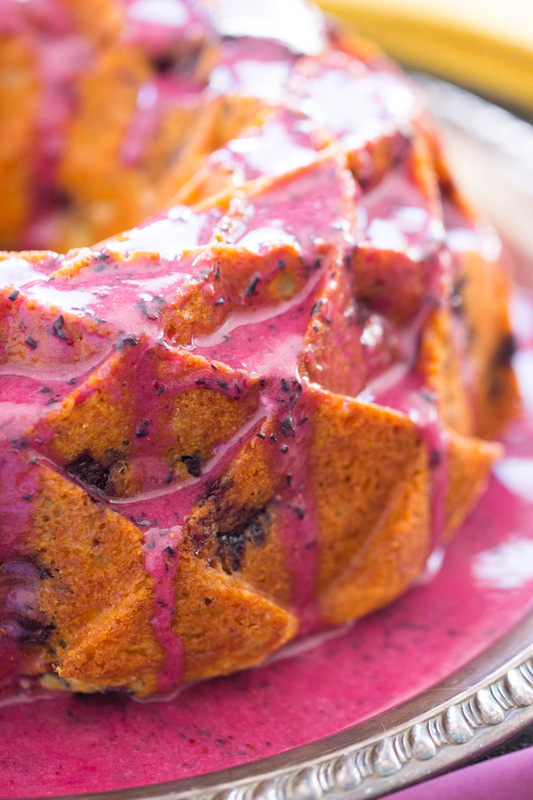 Or would you be super sad because you can never have enough easy bundt cake recipes? Talk to me. Either way, this is probably the last bundt you’ll see for a bit. I have a billion other recipes planned, and none are a bundt. I’ve posted like 4 in the last month, so you are set. 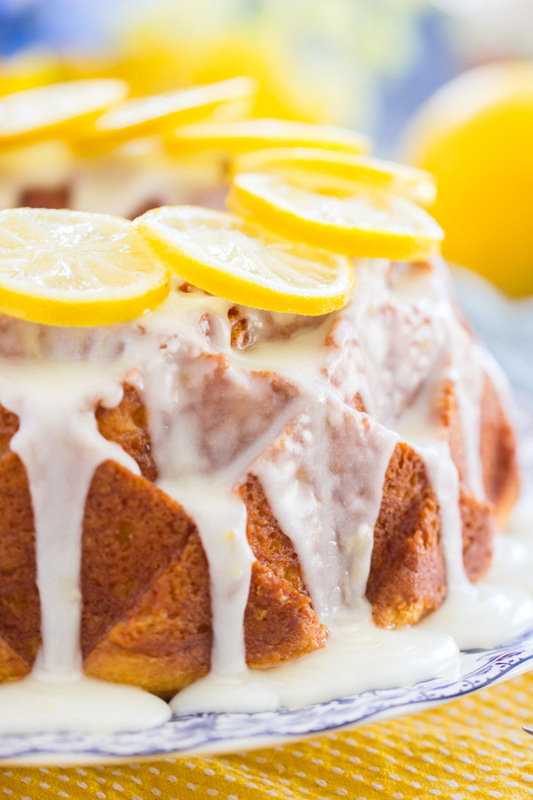 For Easter, check out this Lemon Bundt Cake or Blueberry Bundt Cake. 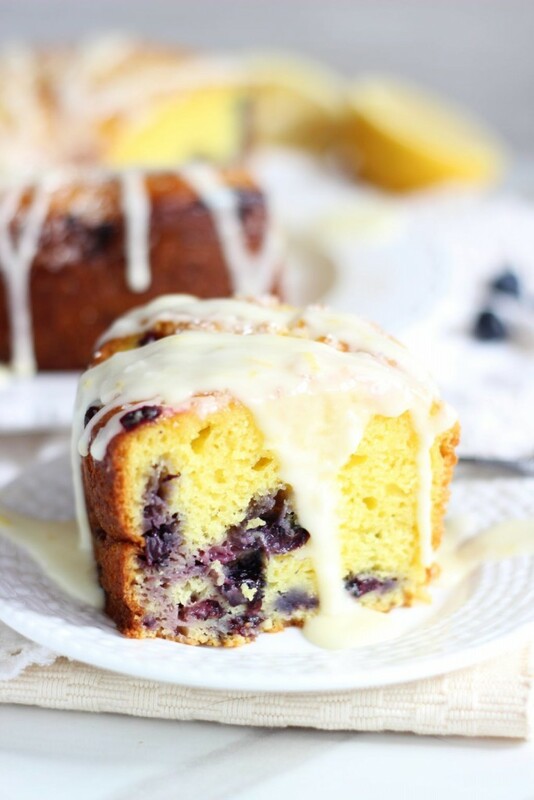 Those were born out of this Lemon Blueberry Bundt Cake with Lemon Glaze, featuring both of those flavors. 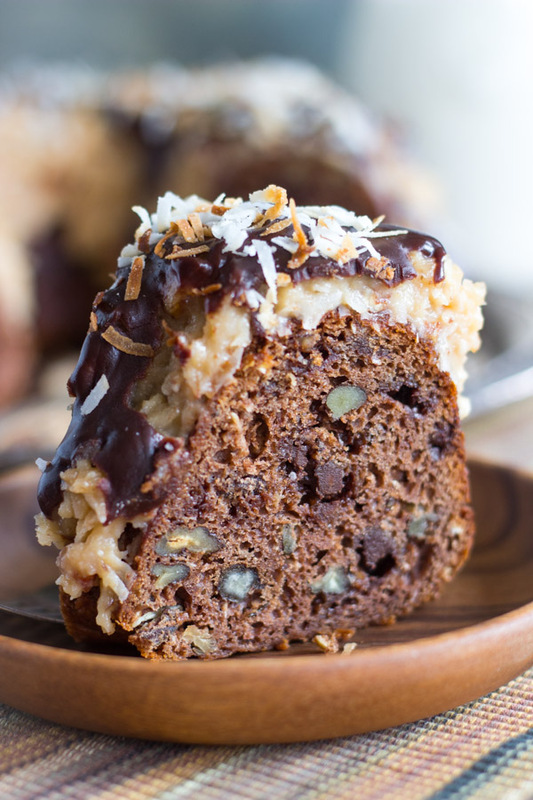 For anytime at all, no holiday or season needed, this ridiculously simple Easy German Chocolate Bundt Cake recipe or this Dark Chocolate Peanut Butter Bundt Cake. Omg, they are good, and oh-so indulgent but EASY, as their names would imply. My friend Jess doesn’t bake at all, but made the chocolate peanut butter one for her dad for his birthday, and it turned out beautifully. 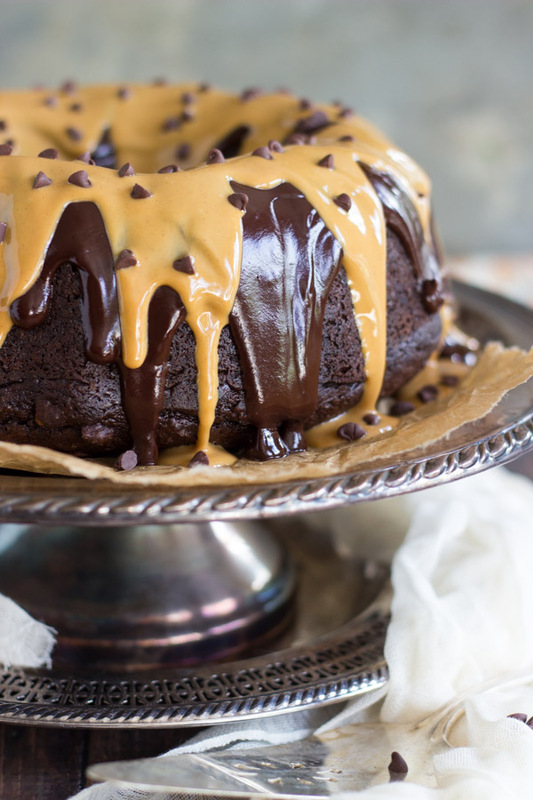 Boozy bundt options would be this Whiskey Walnut Spice Cake (to-die-for!) 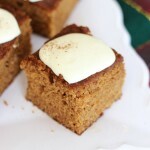 or this Buttered Rum Date Cake. YUM. Today I give you this Oreo Bundt Cake, complete with about 20 Oreos throughout, a few boxes of Oreo Cookies ‘n Cream pudding, chocolate ganache, and dense chocolate cake, of course. Whoop! It starts with my favorite way to doctor up a cake mix, courtesy of my Grandma’s Pistachio Bread, and I stuffed the moist, dense chocolate cake with a bunch of Oreos, baked right in. It’s so fun to bite into a slice of rich chocolate cake to find a crunchy, cream-filled chocolate cookie. Yessss. I also used an Oreo Cookies ‘n Cream pudding mix right in the cake batter. Once the cake is baked and cooled, I drenched it in chocolate ganache. Before you ever frost a chocolate cake, give it a layer of chocolate ganache. It never hurts anything. For frosting, a light, fluffy, creamy frosting made from whipped topping and more Oreo pudding mix. 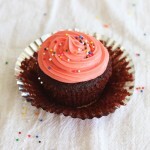 Pudding frosting is so lovely because it’s just super light and fluffy. 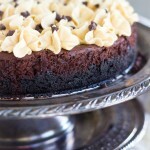 It’s a great complement to the layer of rich, luscious ganache. 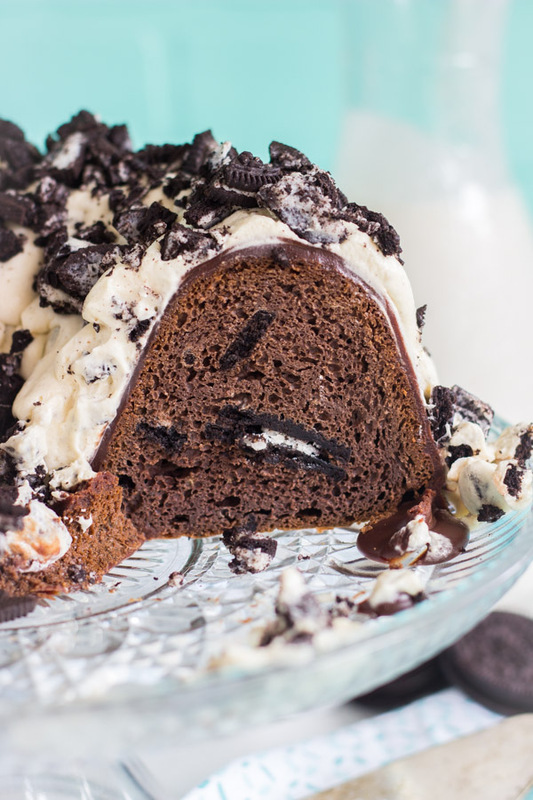 There’s a lot of layers and textures to this Oreo Bundt Cake, so it’s very well-rounded, but it’s still a really simple, easy recipe! 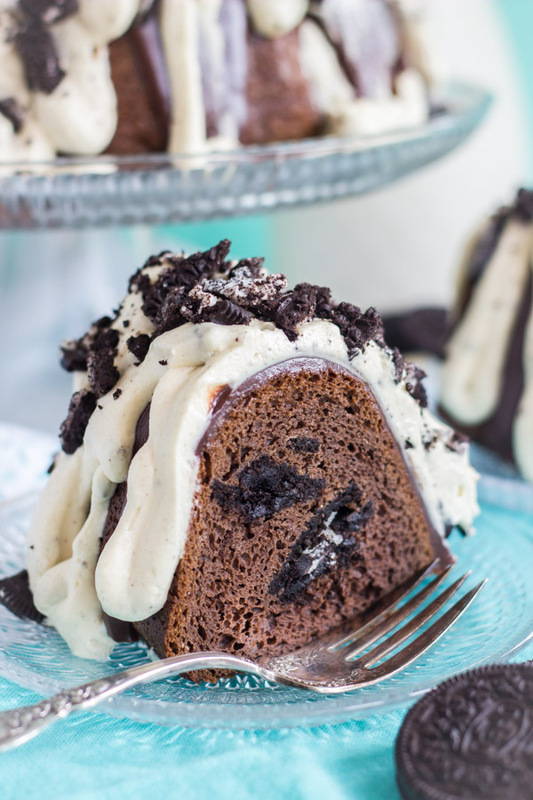 Chocolate bundt cake, stuffed with Oreo sandwich cookies, topped with chocolate ganache, and cookies 'n cream pudding frosting! In a large bowl, stir together cake mix, pudding mix, eggs, sour cream, oil, and 1/2 of the coarsely chopped Oreos (eyeball it). Spread half the batter evenly into prepared pan. Arrange the 8 whole Oreos around the batter. Remove pan to a wire rack to cool for 10 minutes, then invert the cake onto the wire rack to cool completely. Do not cool it completely in pan - it will stick and become difficult to remove! Allow 10-15 minutes for ganache to set. In a medium bowl, whisk together pudding mix and cold milk. Spread or pipe over the cake. Sprinkle with remaining Oreo cookie pieces. Cut and serve. 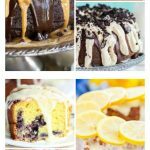 You may also like these easy bundt cake recipes! 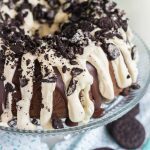 This Oreo Cookies and Cream Bundt Cake turned out very dry for me! Were we suppose to make the cake as directed as well as the pudding? I felt like the cake was lacking liquids. I followed just as this recipe called for 1/4 Oil, 1 C. Sour Cream and 4 eggs I just didn’t find that enough liquids for the cake, therefore it turned out very dry when cutting into it and eating it. I also wasn’t sure for storing the cake with the Whipped Topping if it needed to be refrigerated or not, therefore I did refrigerated it not sure if that caused the cake to be more on the dryer side than moist. Please provide me your thoughts! As for Oreo pudding mix – I’m sorry you’re having trouble finding it. I would just use chocolate pudding instead. 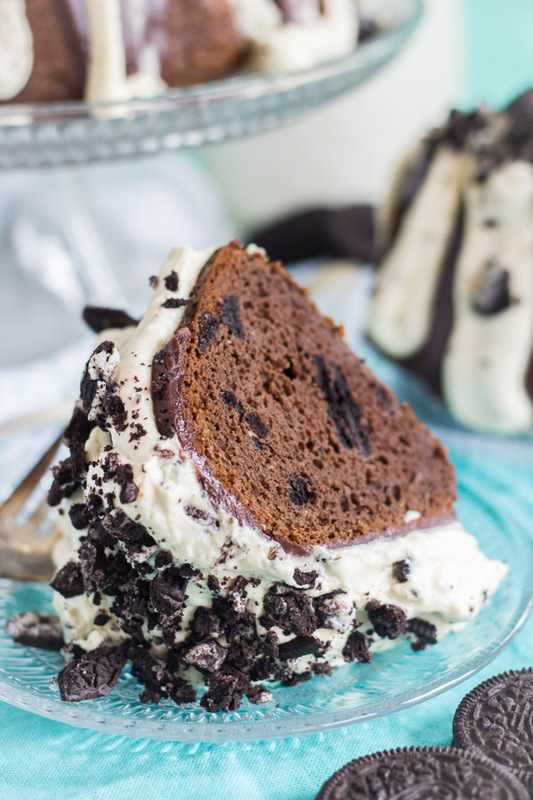 I don’t think you’ll notice a dramatic taste difference, and there’s still cookies in the cake itself, and crumbled on top, so you’ll get lots of “cookies ‘n cream” goodness that way. I hope that helps! 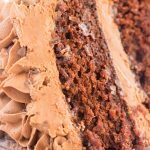 I would make the cake the day before, as you planned, and then I’d add the ganache and pudding frosting the morning of before you leave the house – then stick it in the refrigerator so that things can set! Does your church have a refrigerator you can stash it in? That’d probably be the best thing! This cake lasted a few days for us keeping it in the fridge, so you could even make the whole thing the day beforehand, as long as you have somewhere cool to stick it at church. Make sense? I hope that helps! 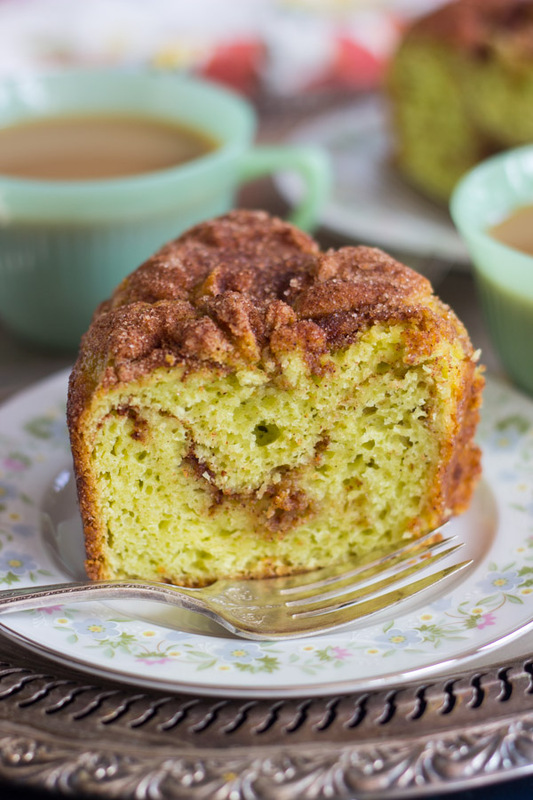 I look forward to making this Bundt cake! What size pudding mix does this use? Small package or large?? Thanks! Small! 🙂 Yay!! Please let me know how you like it!